Personality: Though he may have the outward apperance of a lazy man who wants to do nothing more than sit around and sleep all day. There is more to him then what others tend to think of him. For starters he is extremely blunt in his wording and matters of carrying himself. He is almost never willing to pull his punches just for the sake of another person’s well being. Hanatsuno is a horrible person who always seems to only care about himself and is willing to put almost anyone in danger to do so. Though most of the time he is willing to get his true point across, it is often seen as if he is a cruel man who only wants to be alone and simply keep all his desires, wishes, and dreams to himself at all times. The only saving grace to his appearance of complete lack of a human soul is the fact that he is a huge joker. He is often doing things that are rather unique simply for just a few laughs, which makes it next to impossible to realize when he is joking and when he is serious. Appearance: A man who wishes to hide himself within the form of an elderly man far too much. He is a of average built and height for someone of his age, even though he attempts to hide this all too much. He has no tattoos on his body carries a single scar across his face that sits over his left eye. Despite his age, Konzaki’s age does not seem to reflect the appearance of his face. Konzaki has a light tan on his body and has a pair of beautiful green eyes. He is said to be quite attractive for his age and the only true indicator of his age is the fact that he has pure white hair atop his skull. It is often thought that he dyes his hair, but in fact he has had the same shade of hair since birth. Konzaki prides himself on his built and physic when in comparison to those equal to him in terms of age. He has a rather built body, that even younger men often have troubles keeping up with. This is due to the physical labor it takes for him to create as well as carry each of his skills along with him. Seeing as how he’s been working on his ninjutsu. Konzaki’s choice of clothing is a primary blue suit that has a gold trim around most of it. He has a long blue jacket that has a set of gold buttons sitting around their center and is followed by a gold trim down to its end. The jacket is long in its length, stopping just short of the beginnings of his boots. He has a pair of baggy blue pants, which match the overall set up of his uniform, and end with the beginning of his boots. The boots he wear’s are tall black army like boots worn by rarely anyone else within the hidden Cloud Village, though this choice of clothing does give him some limits while living within his living space, he has been able to make do with very little complications. This entire uniform is unique only to him and it’s appearance and design are unique to others who live within the hidden cloud village. It represents Konzaki’s overall personality and outlook on his job as a shinobi, the only other person ever seen to even attempt to wear such a design is his one and only apprentice, Rukuro, and even he can’t stand it. In truth, the story of Konzaki takes place some years ago, back when his parents were nothing more than wanderers attempting to find their place in the world. It was as though he was unable to even come to terms with himself upon noticing that for some reason he is unable to even reflect on his parents. They died shortly after his teenage years, and now he is unable to even remember them due to his constant works in assisting the people around him and their troubles. Konzaki was seen and accepted as a man due to his kindness upon becoming a recognized shinobi. He was always going around and about attempting to better and assist the others around him in all their problems even when he was younger, however as he began to get more and more dedicated into his works he began to develop a deep and heavy seated emotional connection with those around him. It wasn’t as though he was hiding himself, but at the same time as he slowly began to develop and transform into a man who was known simply as a shinobi with such high level of esteems. As a young man Konzaki is known throughout the lightening country as one of the few men to have reached the rank and esteem that was needed for anyone to become a leader in need. It was as though he was a very well balanced and simplistic outlook on the world itself. In truth, he feels as though he isn\'t quite up to the esteem and control that is expected of him, however his story basically seems to carry on about as though nothing more than a simplistic outlook. As he continued his works and desires as a man, he slowly began to draw himself onto the ideas of assisting his friends and allies to the point that they now saw him as a pillar of strength and understanding. When the village was being slowly built up from its original level some years ago, it was as though he was seriously seen and accepted as the acting leader of it before it was erected. Upon having the village erected however, they were in need of a leader and lord who was capable of assisting them through all the hardships of the village’s development. So in the end they decided on Konzaki due to the fact that he had been with them for some time, during the time period of the villages development. And even now he continues to act as though one of the more respected men of the Lightening Country. During his time and development however, Konzaki began to emerge as a well respected man who was capable of assisting everyone and anyone who was in need. However, due to the works which had been grown up as when a shinobi he was unable to even properly accept and sit back with the idea of being a leader. It was as though try as he might, something was lacking from his life and with each and every passing moment he was unable to even clearly accept or understand his own skills and power which was needed for him. It was as though he had very little understanding or acceptance of the world itself. Konzaki developed his skills as an expert at using electromagnetic fields and his lightening chakra began to make him one of the more powerful shinobi in his up and rising village, so he was often given odd and off beat details. As he began to develop his knowledge and understanding, Konzaki began to lose focus of himself as a man. He longed for a family and at the very least friends who could accept him and his offbeat personality to the point that he was unable to even rest and accept any of it. Now, he had grown into a figure of power and acceptance so he was technically developing into the leader that they had wanted of him. However, as time began to progress Konzaki had managed to come across a young child who had slowly began to turn him into a more respectable man. The child’s name was Rukuro and his parents had been killed during one of the redevelopment projects of the country, yet for some reason he didn’t have much of a story aside from that. The young man didn’t seem to come up and about as a shinobi, yet for the most part he still was attractive to Konzaki in the sense that he could act as a small portion of himself. It was as though roughly five years after helping raise Rukuro. Konzaki took him under his wing officially as his adoptive father. Upon having fallen back into line as a Shinobi though, Konzaki began to develop new and more complex groups and teachings to his village to the point that they were following his lead without fail. He carries his child, his pride, and his power with such a simplistic style and form that it is something which enables him to come across as a very skilled man. Now, he is seen as nothing more than a leader who is so understanding and well balanced that he is seen as one of the wisest men in the shinobi world. Other: As Acting Raikage, Konzaki generates and creates his own divisions to work beneath him similar to Anbu, however much more unique. Each having their own styles and such. Description: Charging electrical chakra throughout the Cloud-Nin's entire body the shinobi makes his skin light up giving it a bright glow that can allow him to see it a night. One can also control this bright glow to make the light flicker, using it as a code or a signal. Description: This technique makes a simple clone of the shinobi however unlike the standard bunshin, which is a genjutsu, this bunshin takes an actual physical form through the use of electrically charged chakra. Description: This skill allows the user to create strings of electricity that can either act physically as strings, or as a medium that can send small shocks to an opponent. One of this technique's most useful features is its ability to allow the user to detect outsiders. When the strings are placed around an area, they are often fairly difficult to see, and unnoticed by the quick eye. But when the string is used to detect outsiders, they can adapt a quality that is string-like and electrical at the same time. This quality makes the static strings into a string of electricity, but with such a weak current that it is rarely noticed by Shinobi who accidentally walk through the strings. However, when this happens, the user at once will feel a small shock in their fingers, or where ever else they are keeping the strings intact. But unless the opponent felt the weak current as they walked through the strings, the opponent will usually never know the strings were there. But beyond its ability to detect outsiders, this skill can be used as a normal string when it is needed but none is around, or it can be used to create small shocks to other people. However, the shocks are only a little bit stronger than static electricity, and usually do no damage at all. Description: While not necessarily a technique that must be taken, most Cloud-nin are taught this at the Academy. As most know electricity in general is a deadly and somewhat scarce element, generally one could only collect the necessary electricity necessary to perform techniques if they were fighting in the middle of a thunderstorm, or near an electrical source. However current training standards in the academy show how a cloud-nin tends to make electricity through the use of chakra, turning most Cloud-nin in to human capacitors, technically. The process is generally quite painful and requires about 5 months of mental and physical conditioning to resist the charges you activate onto your body. As it is written, this technique is optional. A person who doesn't take this skill will generally feel pain when even performing their own electricity based techniques, also one who tends to take this ability tends to notice that minor shocks generally do not hurt them as badly. Description: An overall simple move that is generally taught to genin to assist in generating and controlling chakra for the sake of ninjutsu, the shinobi vents electric chakra from his entire body, causing anyone that touches or attacks him to receive minor electrical shocks and burns. A shinobi can stay in this state for 2 posts. Description: A scouting technique forming warm air into his hands the Cloud-Nin creates a cloud that is infused with chakra, the entire process takes a post in itself, after forming the cloud the nin loses all form of mental consciousness and the cloud flies away. This little wispling of cloud is now controlled by the nin who has lost consciousness it hears and sees all that is near the cloud. More often times then not the ghosts many foreign shinobi claimed to of seen in The Gate is nothing more then a shinobi using this technique, the wispling looks like a slight misty ball and some could even see the face of the nin form into it giving it a more ghost-like appearance. Destroying it is very easy, physical attacks, ninjutsu almost anything can dispel the technique returning the nin to consciousness, but a horrible weakness this wisp does have is that if one were to use genjutsu on the probe it immediately dispels and the user is afflicted with the genjutsu that was used without even knowing it. Description: An overall simple yet very effective technique, the Cloud-nin creates a sort of electrical current on his hand, this current can then be transferred onto any weapon he happens to be holding at that moment be it a kunai, senbon, shuriken, or even a sword. The next physical attack he performs is charged with this electrical current, if he blocks a weapon attack with his own weapon the current transfers over shocking the attacker. If by chance the user is not carrying a weapon he can transfer this current into his opponent's weapon shocking him, or can even hit him with this current. Description: A simple technique in concept and execution, in which the user performs the necessary handseals and then emits a short bolt of lightning from his or her hand. This is a simple bolt, akin to a fireball, as opposed to being a continuous stream. On impact, the target will suffer minor electric shocks. Description: This technique, while being a branch of Henge no Jutsu, allows the user to transform in a way they never dreamed of. When performing this skill, the user transforms into an extremely quick 'strand' of lightning. In this quick state, nothing is done slowly - everything is in a rush for the user. However, this strand of lightning is incapable of changing directions on its own. It can only change directions by bouncing off another object, such as a tree or a boulder, but the user is capable of bouncing off in any angle they wish to. It is not recommended using this technique in a field with little objects to bounce off of. The user can stay in this form for a maximum of 2 posts, and does no damage to the things they bounce off of. However, the Henge automatically dissipates when the user makes contact with a living target. Being in a state similar to lightning, the user plunges completely into their target, and ends up in their physical state on the other side of their opponent. In addition to giving the target a painful electrical shock, this skill may or may not paralyze their opponent for up to one post. After this skill is used, it takes a complete post for the user to completely recover. Because of the fast speeds associated with this skill, the user will feel dizzy, confused, and often nauseous for some time afterwards. A genin's speed is cut by half for one post, and is unable to perform any jutsus for two posts. A chuunin's speed is cut by half for one post and is not capable of performing any jutsus during that post. A jounin's speed is cut by 2/3 for one post and is able to use academy level techniques during that post. Description: This skill allows the user to charge chakra in the form of electricity in the palm. Then, the chakra eventually works up to the fingers, where a blade of electricity is formed between the index and middle finger. The blade is very thin, and depending on the user's chakra, anywhere from 8 inches to a foot long. It is around 2 to 3 inches wide, and it lacks a hilt. The blade is held between the fingers, but as soon as it is let go, the blade vanishes into thin air. The strength of this blade isn't as strong as a normal blade, as it is nowhere as dense or as heavy. But because the blade is very thin, it is capable of doing some major damage, if used properly. However, this blade can also hurt the user, anywhere except for the fingers where the blade is held. Description: The user takes one post to channel a large amount of electricity into a limb, making the chakra visible. Upon contact with the opponent, the electricity is shot into him and the target’s weight almost doubles, making it harder for the victim to move. Lasts two posts. Description: After flashing a series of hand seals the shinobi uses chakra to condense the air immediately in front of him into a thick, chakra-embedded barrier made of cloud. This barrier blocks normal weapon attacks that are coming straight ahead, and will also block ninjutsu-based projectiles depending on what stage effect it used at. Any ninjutsu-based projectile higher then the stage effect will cause the barrier to fade away. Description: An upgraded version of Lightning Bolt, this jutsu works the same way except now it is a continuous blast of electricity. The blast can last for up to two posts, but can be ended prematurely by the user. A target hit by this technique will experience quite painful electric shocks, however they are still relatively minor. Description: A rather sophomoric skill in itself forming electricity into the primary hand of the Cloud-Nin the shinobi delivers a full on palm strike to the body, the voltage of this particular technique is considered high enough that the target generally loses control of the bowels and bladder causing a rather distracting mess in their undergarments. Obviously the catch is however that one has to be hit by the palm strike to fall victim to this immature tactic. Description: When performing this technique, the user does a single seal, (Bird), and the user disappears in a wisp of electricity. The maximum the user can travel is a radius of 1 mile from where they are standing, but they must be able to visualize the area in their head. This technique can be used in escaping combat, and also to travel to some extent. However, when this is used to escape combat, this cannot be in the same post the user is attacked or is attacking. 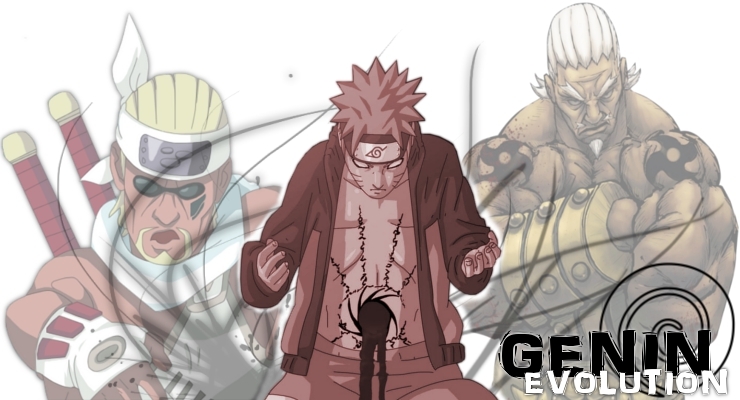 Description: An off-shoot of the Electric Overdose Technique, after the user takes one post to channel a large amount of electricity in to his hand, making the chakra visible, the user can attack a specific body area of his opponent and fire electricity into it once. Whatever area is struck the muscles immediately begin to constrict and twitch in extreme pain and causes the limb to be unable to move for two posts. Description: Generally used as a ranged defensive maneuver when a Cloud-nin wishes to hit multiple targets in front of him. First, requiring a single post, he begins to grow electricity-based needles all over the front area of his body. Anyone using a taijutsu on him between now and the next time he posts from the front side will get a slight sting, attacking from the sides or from the back is still effective however. Once the needles have grown the user then flashes one hand seal and all the electric needles launch themselves in a front spreading maneuver towards anyone in their way. Anyone who is hit by the needles receives a nasty shock and slight numbness to the afflicted part. Description: This is the pinnacle of the single-target ranged lightning jutsu. The attack from Lightning Blast has been upgraded further, making it into a beam twice as wide as before, and much more damaging. Targets hit head-on with this jutsu will experience a fantastic amount of pain and be stunned for one post after the jutsu ends. Also, nearly missing with this jutsu also has some effect. Because of the high amount of voltage, small lightning bolts can arc from the beam to someone standing within two feet of it, causing shocks a little bit more damaging than those of Lightning Bolt technique. This jutsu can last for up to 2 posts, but can be ended prematurely by the user. Descriptions: Flashing a number of Hand seals the user causes all lightning bunshins that are under his specific control to explode into a burst of electricity, shocking anyone that happens to be near them. Description: A capturing technique, after flashing the necessary handseals the shinobi brings electric chakra into his hands, shoves his fingers into the ground, and fires electricity through the ground towards an opponent. The target can generally see this technique coming as small bolts of Lightning dance across the ground towards them, one post later if they have done nothing to avoid this technique a chain of lightning bursts out of the ground and wraps itself around the ankles of the target. As long as the Cloud-Nin has his hands his fingers buried into ground the target is ensnared. While ensnared the nin is unable to move his legs but is still able to use his arms and hands, however for every other post the user has been ensnared he receives an electric shock. Descriptions: A defensive technique that covers the immediate area of the Cloud nin from a large degree of angles. Collecting electricity through his entire body he immediately pushes all of it into the ground below him, almost instantaneously bolts of lightning begin rising from the ground in a rhythmic fashion covering his front, back, and side, but still allows him to be attacked from above. Most form of projectiles (i.e. shuriken, senbon, kunai) are deflected in the process but ninjutsu that are higher then users power can drive though this maneuver. Also while one is performing this move he must keep his hands on the ground so he is unable to attack others while performing this move. Descriptions: As the user flashes a number hand seals the shinobi begins to develop 4 kunai between his fingers that he can throw at his opponent. Many people often see elemental techniques that take the form of throwing weapons as low grade techniques, and as such enemy shinobi often scoff when they see this technique occurr. However this technique is not the same as any traditional elment technique. The kunai that are developed are made of pure, concentrated lightning, heated to the point that with the amount of power that they are thrown it it could go through most forms of metal and still do some damage. Description: A useful technique generally used in an attempt to take out a group of enemies by surprise. Forming electricity into both hands the Cloud Nin launches a continuous stream of Lightning at one opponent, if the technique hits one person it immediately launches itself at the next non-friendly person who posts. The lightning chain specifically targets water that is found in the body, so bunshins are generally left untouched unless it's a Water Bunshin. Description: This technique offers the user both offensive and defensive capabilities, presenting some interesting strategic options. The user forms the necessary handseals and, by focusing his chakra, creates a pair of rings of electricity around himself, that spin about like a gyroscope, maintaining a constant electric field throughout its radius, which is half a meter from the user. If anything from outside attempts to enter this radius, the rings will shoot a blast of electricity potent enough to knock back a person and completely deflect any projectile.. Description: This technique is a powered-up version of the Raikou Bunshin. Like before, a physical clone of the user is made out of electrically charged chakra. However, this version is stronger than before, having the user's full physical stats, with 1/3 of the user's taijutsu bonuses. The enhanced clone's punches carry with them a relatively minor electric shock, and it can also use one Cloud ninjutsu that the user knows, but only stage 3 or below, and once the jutsu is completed, the clone vanishes in a puff of smoke. A solid hit to them will also produce the same effect. Description: A dangerous technique not only in the sense of it's power but also by it the fact of its inability to be controlled. Forming the necessary hand seals the shinobi begins to collect mist in his immediate area much like Kirigakure no Jutsu, however it begins to rise and form into a thunderstorm cloud instead of laying dormant like mist does. Now powered by chakra the cloud will begin to strike random nin with lightning, the power of this lighting has the ability to cause massive third-degree burns, majorly constricted breathing, and possible fibrillation. This technique lasts until the maker of the storm cloud posts twice. Description: Circulating electrically charged chakra around the entire area of the body the user is now able to push this chakra out of their body forming a personal-range electric sphere of defense that covers all angles and even overhead for the next turn. Anyone who is attempting to break the shield with a taijutsu attack will be given a shock capable of leaving a second-degree burn and pushed back, any type of thrown weapon is immediately blocked as well. The downside of this is that the user is unable to move while the shield is active. Description: A two part technique that can cover a large amount of area or hit one person specificaly, first performing a few hand seals the shinobi blankets the area in a natural, cloudy fog ending his first post. The fog in itself is not very thick, one could essentially see through it and very much fight as if they were not in fog at all. However once this fog has been summoned the Cloud-Nin, now on his next post, is able to fire at one target or a number of targets indirectly by sending an electrical current through the droplets of condensed water that composes this fog esentially creating a series of small, but powerful, electrical shocks and as such vaporizing the fog. These shocks esentially can cause physical debilitation and at worse unconciousness. Description: Making physical contact with an enemy shinobi the Cloud-Nin shoves Static Strings into his opponent and himself, by hotwiring the electrical impulses of the target's brain he disables the target and assumes control of the opponent's body for the next three posts. While in this state the shinobi can only control the target body and has little control over his own body which will remain standing in place. Major problems with this technique is that by severing the strings you break the connection between the target and the Cloud-nin, also the maximum range the controlled body can move from the original body is 50 feet, otherwise the strings will break. Descriptions: Considered by most to be more of a torture technique then an actual attack the Jounin can lay his hands on his opponent and send several thousands of volts of electricity into the target. Depending how many times a Cloud-Nin has hit the opponent with this during a thread will depend on what happens. One post of being hit by this technique causes minor burns, chest constrictions, blurred vision, and overall pain. An additional post of being hit by this any other time during the thread will cause on-site second-degree burns, partial blindness, and an inability to breathe. A third post of exposure will cause a third degree burn on the spot that the hands touched and will cause major orificial hemorrhaging cause by internal bleeding, and unconsciousness. 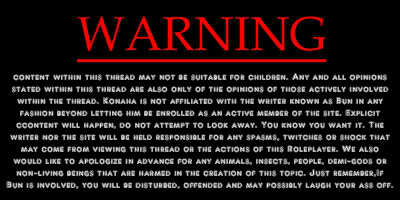 By this third post a target is officially given the choice of leaving a thread if the character regains consciousness he is officially giving permission to die. The fourth exposure causes death, and pretty much leaves the area smelling like burnt flesh. Description: A technique that causes overall destruction and chaos, performing a number of seals a large spinning tube of lightning launches itself out of the user's body and speeds away in the direction that the Cloud-Nin was facing. Going at a particularly high speed this tube begins to tear up all peices of land it touch and bores large holes through anything that has the horrible chance of being in front of it it for the next three posts and then explodes in a huge burst of electricity essentially electrocuting anyone within close proximity of the explosion. Description: A technique used generally to remove a huge group of nins or to breach a heavily guarded section of wall. Using one post to fully charge all chakra and then an additional post of doing nothing but hand seals the Cloud-Nin is able to open the skies from above and as such a sphere of clouds about 14 feet in height and 14 feet in circumference slowly descends from the sky. It then takes an additional post for this slowly descending ball to touch the ground, but once it does everything in a 90 foot radius of where the ball dropped is attacked by huge bolts of lightning causing large amounts of property damage and what not. Description: A technique often used for the sake of demolitions purposes, the user flashes a number of seals and finally ends the series with an odd looking seal that auspiciously looks like the seal that the Yamanaka use for their own techniques. The user of this technique now must keep his eyes set on one specific object that he can see through this seal for the next two post, if he moves or does anything else but aim during this period the technique is cancelled. After two posts, the skies suddenly open up, and a huge beam of white lightning strikes where the user was aiming, decimating the target and causing powerful shockwaves to affect the area 500 feet from the point of impact, most likely decimating anything with a foundation. One can generally tell that this technique is occurring by the fact that the skies turn black, thunder begins sounding, and it starts to rain during the 2 posts of preparation as well as a sudden increase of heat. Description: Often considered to be Nagai Jyushin's trademark technique the few who have ever seen it have gazed in awe at the complete output of chakra one would have to use in order to perform such a move as this. Placing but one single hand on the opponent the shinobi delivers a huge debilitating shock to his target forcing him to his knees, the shinobi then generates a excessively huge amount of electirc chakra that the target's body turns to ash and crumbles away. Some who have claimed to of seen the move in action say that a human sized flying snake can be seen wrapped around Nagai and then flies high into the sky, never to be seen again. However to this day the school teacher claims he knows no such move. Description: A move believed to be forever lost in legend, but technically possible had one the ability to manipulate enough electrical chakra to do so. Concentrating enough chakra to just the hand one could place it on the opponent's chest and regulate the heart to beat slower then the human body needs to survive. At first the target doesn't even notice that such a technique has even happened and continues moving like it's nothing, however after 4 posts the target begins to falter about and then collapses as he feels his entire body coarsing with pain and exhaustion unable to get back up. 2 later the victim falls into a coma and then dies one post later. Although it has never been performed since the days Shina herself was alive one claims all one needs to do to survive such a slow and painful death is to have Hekirikite no Jutsu performed on the victim, re-regulating the heart to it's proper setting. Description: A very simple communication technique that allows teammates in the near vicinity of eachother to communicate in a fashion that is both secret and not as noisy. Sending chakra to his voicebox the user transmits clicking sounds into the air, these sounds to a normal person may actually sound like very light whispering or wind blowing. However to a person who has this technique it is actually a code, that can be interpreted into what the original user is saying. Description: Used by Doruma Rangers who all of sudden have run out of bandages. Using chakra to form oxygen into a cloud-like wator vapor the user can then apply this bandage to a wound to stop it from bleeding. This bandage also has a very cold feeling to it and as such is also very good to use against burns and can also be applied to people who have heat exhaustion or heat stroke. The bandage itself is not very solid in the terms of consistency, while it is enough to seal a wound one could easily stick their fingers (or others kind of things) through the bandage and upset the wound. The bandages last for 3 of the target's posts. Description: This jutsu is one of the quintessential techniques of Division 17 and is used in conjunction with a photography scroll. The user unrolls a part of the scroll and forms a set of handseals, then unblinkingly stares at anything he wishes as he places his hands on the paper. Upon doing so, an image begins to draw itself on the paper, taking one post to complete. This image is essentially a photograph of what the user saw with his or her eyes at the moment he placed his hands on the paper. Description: A technique that is often used by the IRDU when they were known to hunt only people who had Sakoshi inventions. The users manifests lightning chakra into a form of Electromagnetic pulse and then forms a simple senbon needle, when thrown at an electronic device the device is disabled for two of the user's post. Description: Forming a number of seals the user uses his electric-based chakra to receive senses that have become more acute then what is available to a standard shinobi. The technique lasts for a maximum of four posts and requires a cooldown of three posts after wards. While performing this technique the shinobi has a choice of which sense he chooses to enhance, once he has enhanced one sense he is unable enhance any other sense until the technique is completly dispelled (including cooldown). * Sight: The user's sight has enhanced to the point that he can see further away then one normally could (roughly 300 feet) as well as having an ability to "zoom in" on one aspect that he is seeing. However any attacks involving blinding in this state not only affect the user worse, but causes a major loss of equilibrium for an additonal post then is already alloted to being blind. * Hearing: The user's auditory functions have enhanced to the point that even the slightest of sounds pick up to his ears in a 300 foot radius, the user also has the ability to filter forms of noise so he can hear something specifically. In this state all Sound Genjutsus have an added duration of 1 post and Sound ninjutsu attacks perform more damage. * Smell: Probably one of the most useful senses to ehance when you're looking for anyone, the user's ability to smell becomes so acute he can generally smell anything in a 300 feet radius, this becomes quite useful if you have struck blood on a target as you'll be able to smell the blood. However in order to properly track someone normally you would of have to of gotten a good smell of the person beforehand to determine their smell in this state. During the duration of this technique any major foul odors you are subjected to by surprise causes you to not make an action for a post. * Taste: Enhancing taste is only useful for spotting out specific poisons in food or drink, however depending from which group you come from you'll know specific points. Div 17 shinobi generally can detect that a poison is present in the food and will most likely be able to place what type of poison it is, it's effects, and how it was made. Doruma Ranger shinobi can detect a poison is present in the food and how one can cure it. IRDU shinobi can only sense that the food or drink has been tampered with. Gokusotsu shinobi know the same amount as Div17 shinobi by default but elite force members that have backgrounds in the Rangers can also figure out the cures. Description: A higher-powered version of Static Strings which contain a much greater amount of electricity. This causes the strings to now be as visible as normal wire. Unlike ordinary wire however, when a chakra source comes into contact with it, the string will instantly detonate with the force of a Raikou Hitofuki. This also causes a thundering sound and as such becomes a signal that the trap has been springed. Description: For this jutsu the user takes one post, and imbues a great amount of chakra into a thrown weapon, or a cluster of senbon, then attaches a chakra string to it, and throws them at an object that they can stick into. Now, the user must close at least one eye, and then he or she will be able to see a view from the end of the weapon, as if a wide-angle camera was attached to it. This technique remains effective for as long as the user holds onto the string and is supplying it with chakra, meaning he is unable to perform any additional jutsu or actions while he is using the camera. Description: Forming a tightly bundled electric charge into the hands, the user then fires a small bolt that can go no longer then 15 ft. This bolt instantly converts to static electricity and binds the entire body of the opponent. Struggling against this technique sounds like popping electricity, an opponent who has a taijutsu at one stage higher than the hunter’s stage affinity in special forces techniques can escape, otherwise this jutsu will wear off after 2 posts. Description: The user performs a number of handseals, then slams his hand into the ground, sending a bolt of electricity into it. The user is able to control the bolt as it travels underground, and can make it emerge from anything that is not a chakra source and connected to the ground. The bolt has the power equal to a Raikou Hitofuki, and can only emerge from objects within a range of 100 feet. The bolt can either be made to emerge on the same post as it was fired, or on the next post, however, either way the user must keep his or her hands on the ground until it reemerges. Description: As usual when it comes to breaking a natural boundary one can often depend on the Doruma Rangers to do so, enhancing all senses at once the user can touch a single target and take the major vital signs of the targets such as blood pressure, heart rate, temperature, breathing rate, and overall brain activity for as long as the user can hold on to the target. Of course this technique only allows a user to have this sense, but the ability to interpret these signs are still up to the user of the technique. Doruma Rangers often use this technique to receive the vital signs of an injured comrade and make immediate decisions to their course of action. However recently Div 17 specialist have been able to learn this move as well, and as such use the ability to analyze a person's vital signs and see whether they are lying or not, becoming a sort of makeshift polygraph. Description: After performing a number of seals the user spreads his chakra into the ground, trees, etc within a 100 meter radius. Whenever a significant chakra source (read: any level of shinobi) enters this invisible boundary, the shinobi will be able to enter, but as he or she passes into it, an electric jolt of equal power to a static string will be delivered. Though this alerts the enemy shinobi, the user will instantly gain some knowledge about the enemy, such as basic physical appearance, chakra size and ability (allowing the user to place the enemy as a genin, chuunin, jounin, or sennin), and chakra element. Once one shinobi of any type (whether friend or enemy) has entered the area, the boundary dispels and the user has to perform the technique again. Description: A rather tricky, somewhat bizzare, and overall rare technique used by Div 17 Specialists to gather accurate and reliable information. The user enters an almost trance-like state and begins recording every motion of a target within 100 ft in perfect detail. Afterwords the user can then mentally recall the recorded event and playback by mimicing the necessary electric impulses it would take to move just like he had seen. Sadly however since this does not mimic chakra usage or physical body conditioning it is almost futile to use this in the sense to copy ninjutsu or taijutstu techniques in perfect fashion. Other horrible disadvantages this move has is that it does not record audio in any form and one can only keep one recording in their body at one point (hence the reason it is rarely used). Description: The higher echleon of an old IRDU favorite, the move is very much the same in the sense that the user takes his chakra and forms it into an electromagnetic pulse and thes forms a senbon needle. However this pulse is much more different from the last one, while the last one was only able to disable electronic equipment this one enables the hunter to manipulate the piece of electronic equipment to do what he wills it to, as long as it does not involve it being destroyed, for the next two posts. Description: After years of research, Cloud shinobi finally created a method to counter the Shunshin no Jutsu. Many a missing-nin has escaped capture by using this jutsu, but no longer. Now, if a target uses Shunshin no Jutsu to leave an area, the Cloud shinobi can, in his next post, go and stand in the exact spot that the target was at when the Shunshin was used. The Cloud shinobi then forms some handseals and is transported to the same location that the target was taken to. Although it does take a significant amount of chakra to use this technique it is still very possible to use this ability and have enough to continue fighting. Description: Most villages have some form of high level clone, and thanks to a former Raikage’s research the Cloud Village is no exception. Recently developed and released only to members of the specialized forces. Forming a number of hand seals this clone literally emerges out of the body like it was dividing itself from the user, however this clone is much more than a hollow bunshin, every aspect of the user has been recreated through the use of lightning based chakra, even the user's organs. The clone lasts as long as the user wills it, or until it receives a single direct hit in battle. In comparison to the user this bunshin is at the same physical ability as it's creator, and even carries half of it's taijutsu bonuses. Although not able to perform ninjutsu, since the clone has it's own personal organ set completly made of electrically charged chakra it can be used as a beacon to aim lightning ninjutsu at, and can use the Current Transfer technique if the user has it as well. Description: In the beginning a Doruma Ranger is generally trained in the methods of emergency first aid, but is generally only able to perform his practices by methods of standard medical equipment. However with experience in both combat and medical practice the ability to mold chakra to the point that it can speed up the body's cells become possible. In this particular technique the Ranger performs a number of seals and brings his hands upon the wound, infusing it with the special form of electric based chakra that speeds up the body's cells to heal the wound unto that of a scar. The process is overall painful for the patient as the the the practicioner's hands feels very hot on the skin and as such burns, however the Ranger must keep his hands on the wound for an additional post as the wound heals; as such the target must stand still as well. This technique heals minor cuts and scrapes to major gashes, but only repairs damage to the surface and as such is not the ideal treatments if organs have been opened. Description: Considered one of the more tricky techniques created by the wily intelligence operatives, after performing a number of seals the user collects chakra to his hand and then places this hand on a target sending chakra through his body and putting an odd mark wherever the hand touched him. The two are now connected to eachother in an odd fashion, whenever the user is within possible range of his target he can close his eyes in meditation and see and hear anything the target does. On a willing target this range is around 500 yards, on a non willing target around 95 yards. To remove the mark from the body is quite simple, on an unwilling target all they must do is see it and it will disappear or have someone else see it and tell him about it, and on a willing target all one must do is show someone else the mark and it will disappear. As long as the user is marked the person who put the mark on him can see and hear everything he does when in range. Note: The mark is whatever the planter chooses to make it, and could even take the form of a seal should the user will it to (of course giving it only the appearance of a seal, no merits or flaws). However the poster must say what appearance the mark takes the moment the technique is performed. Description: Much like the well known Cloud-nin technique named "Pure Lightning Kunai" this technique should not be underestimated just because it's an elemental projectile technique. Much like it's predecessor this senbon needle is made out of pure, concentrated lightning however unlike it's predecessor it was made to go much faster then it could be thrown, as such even the thickest of metals can be penetrated or even a series of structures. And to cause even more trickiness since the projectile itself is no bigger then a standard issue senbon needle generally the entry and exit wounds are generally the same size and difficult to find sometimes on a cadaver. Description: The user, by charging raw electricity into their hands instead of normal static, creates a charge strong enough to travel through the air itself. With a maximum range of 50ft, this long spike of pure electricity is thrown with incredible speed towards a single target. If it hits a human being, the impact would leave scorched flesh and caused a 3rd degree burn. The real danger of this technique, however, is the electrical discharge into the target’s nervous system. Without a well trained body, or some serious luck, the jolt is strong enough to cause cardiovascular arrest – or at the very least some major difficulty moving and breathing for the next post. Description: Often used by high-level rangers as a final insult to an ambush attack. Spending an entire post to mold chakra the Ranger then performs an additional low level ninjutsu attack, if this attack hits the opponent the chakra the Ranger was molding injects itself into the target and begins to emit a sort of odd smell for the rest of the thread. Besides being a smell so distinct and strong that the ranger can track the user if he were in the area the smell lures animals towards the target and makes them act more aggressive then usual, even going so far as to attack the target. Once the thread is done the character is removed of this smell. Note: Since it would be considered outlandish to trust the target to roleplay himself being attacked by an animal the user makes an Out of Character comment whenever he chooses in the thread claiming that the target is about to be attacked by an animal of the user's choosing (that could be found in such area of the wilderness please). The ranger can only list one animal at a time, and is only allowed to make this comment once every three posts. Also this ability does not stack, if two rangers peform this move on one person the most recent attacker now has the ability to call the animal that is attacking the target. Description: Almost every espionage agent wishes that he or she could split himself up and be able to gather information about an area in half the time, or to scope out the security of an area, without having to stick his or her neck out. Division 17 has this most coveted of intelligence gathering jutsu in order to fulfill that very desire. To perform this jutsu, the user must have at least one physical clone "alive" nearby. The jutsu enhances the bunshin, placing a seal on all of them so that, if and when a clone is destroyed, all knowledge that it gained from the time the seal was placed on it will transfer back to the user, in return for performing this technique on a clone you drain large amounts of chakra from it and as such doesn't even have the ability of a level 1 elemental bunshin. Another interesting fact is that if the clone is attacked by an enemy ninjutsu ability the clone relays useful facts about the technique such as what kind of element was used, intensity of element, amount of chakra used, and how fast it hit the bunshin. Note: This jutsu cannot be used for training purposes, but is permissible in combat situations. However, the creation of bunshin and the use of this technique must take place in two separate posts in a combat situation. In a non-combat situation, both actions may be performed in one post. Description: The IRDU often spend most of their assassination related missions in the shadows, killing with little to no sound, and no one realizing the mark is dead until it's to late. However sometimes an IRDU related assassination is meant to make noise, or sometimes the hunter needs a way to escape and as such needs to create a diversion. This technique was created with this idea in mind, but has proven to be useful for many other purposes. After flashing a number of seals the hunter creates a long, thin, bayonet sized blade by putting his closed fists together and pulling the blade from one fist with his favored hand. In general this blade is not able to be used in the sense of fighting, rather it is meant to be thrown at a target (be it an object or a living thing). In this manner, the blade has a range of 500 yards. The moment the blade is thrown, a string of chakra is connect to it, the source being the user himself. Once the blade has hit it's target, the user is now tethered to the object and as such has a plethora of options available to him, however the outcome is always the same, an explosion with power, size, and range of two explosive tags with an additional 15 feet of electrical discharge with the power of Raiton Hitofuki. Due to this nature of the projectile, it also has a minimum range. It must travel at least 50 yards to be at all effective. One option is with the string still attached to the user's hand the user can separate the string from the blade and cause detonation. Another is with the string still attached the user can remain still and with his hand gripped tight on the string he can wait until the target moves causing the string to break on it's own and detonate. And the last option the user can tie the string to a tree, and with the string no longer connected to a chakra source begins to disintegrate and after four posts of the user the string separates from the blade and detonation occurs. Description: Much like the term used in a dice game this technique is generally a loss for everyone. Combining both nervous impulses with chakra based electricity the user produces a huge charge of electricity that is kept within the body (this whole process takes one post). Then once the user gets close enough to his target he holds on to him and releases the charge, erupting into a close range explosion of majorly heated electricity. This causes the target to pretty much die from extreme burns, electrical senory overload, and will most likely leave the target a blackened, smokey, corpse missing sections of his body. In return the user loses all forms of conciousness and develops major burns as well pretty much disallowing him from participating in the thread any longer. Note: Keeping the charge in your body for any longer then five posts causes the death to the user. Unfortunately the body just can't handle such a huge amount of electricity contained in the body. Description: Taught only to the worthiest members of the Gokusotsu, this technique is solely designed for long range assassination attempts. By biting the thumb and smearing the blood on their bare, outstretched arm the hunter is able to use a highly specialized magnetic field to not only form the drop into a fine needle, but to accelerate it to a fraction of lightspeed. Incredibly hard to perform and even the best members require nearly 2 posts of charging and the utmost in concentration. Needless to say it cannot be used while the user is actively engaged in combat. After this, the liquid projectile is fired so fast that it disintegrates in a mere fraction of a second. Sheer velocity however, not only sets the very air on fire in its wake, but propels it nearly three miles before it completely dissipates. Any person who takes a hit from this is dead. The impact of the air behind the needle alone will blow a two foot hole through someone’s chest, and the shock from that will certainly kill someone even if you don’t count the missing vital organs. Sorry this took so long to get to, as I am unable to check IP addresses on my phone while at work. But we have come to a ruling. Although not a completely detailed and specific rule, there are rules against creating overpowered characters. Whether you intend to or not, being both the Raikage AND Kumo's Jinchuuriki has trouble written all over it. Because of this, we can not allow you to have the Raikage position, especially since you are also trying for a second Kage. We will also not allow you to rule more than one village, so delete one or the other, please. If you keep this one, edit it to a different village.